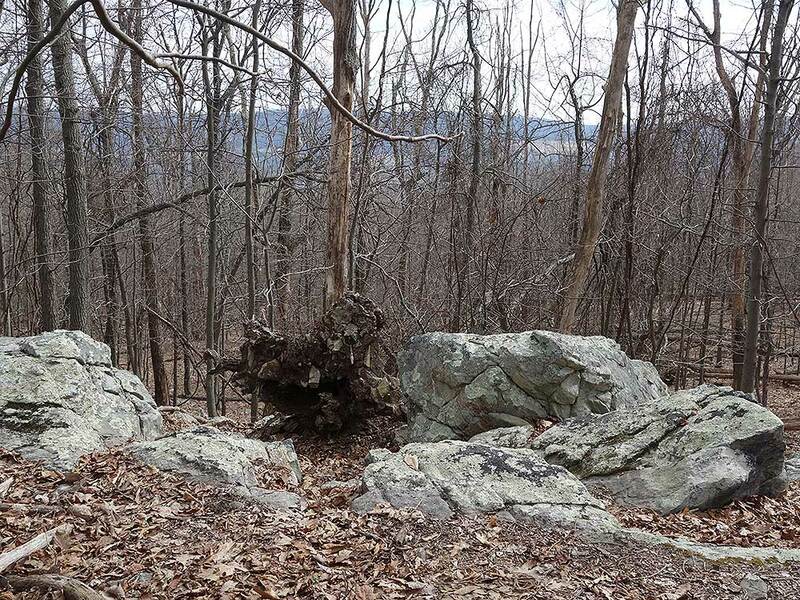 Keys Gap/Buzzard Rocks is one of the lesser utilized sections of the Appalachian Trail as it passes through Loudoun County Virginia. 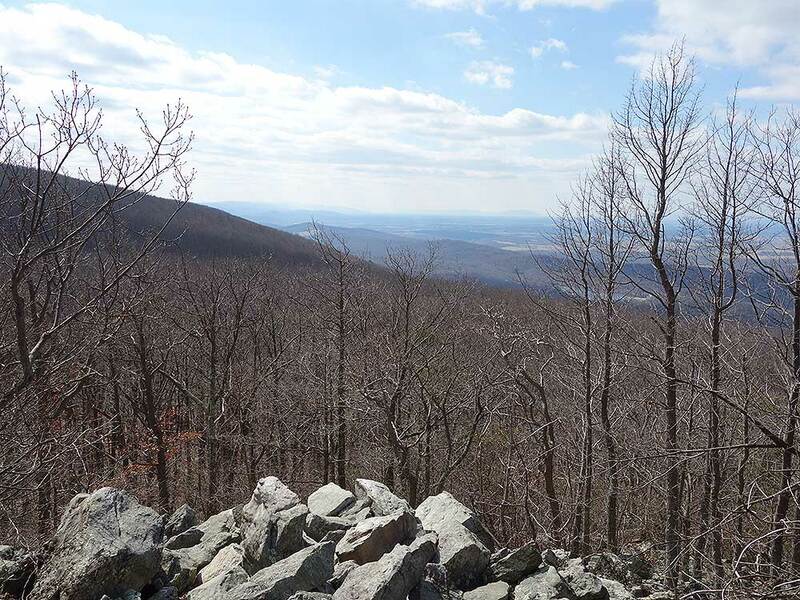 With the better know Raven Rocks to the south, and Loudoun Heights to the north, the Keys Gap/Buzzard Rocks hike is a nice alternative to the crowds. 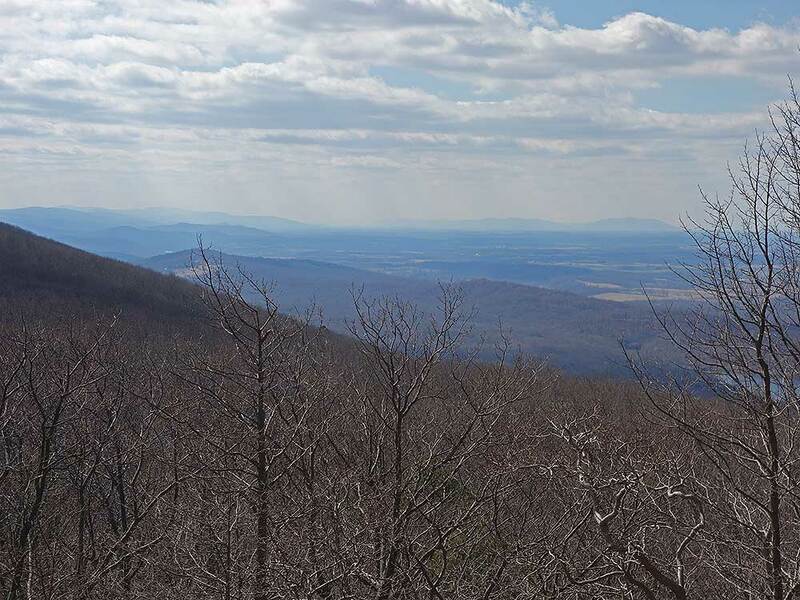 Buzzard Rocks has good views to the south with the Massanutten Mountains in the distance, as well as views when the leaves are off the trees of the Shenandoah River. Also stop by the David Lesser Shelter with side picnic area and swing chair. Mile 0.0 – From the parking area at Keys Gap join the Appalachian Trail (AT) at the far end of the parking area and information kiosk. Head south, immediately crossing VA-9. 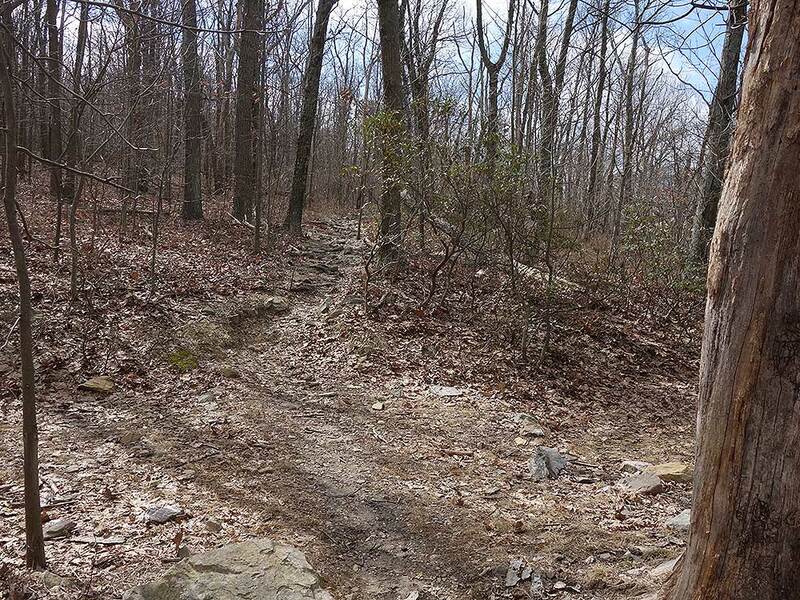 The first 0.5 miles of the AT can be muddy after rains. 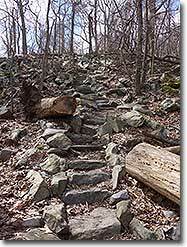 Follow the AT as it begins to ascend Blue Ridge. 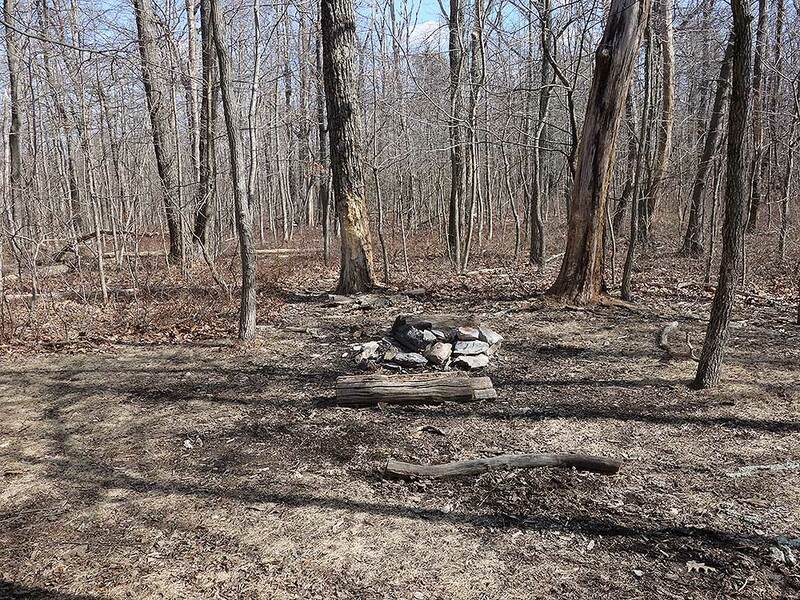 Mile 1.0 – Pass a campsite on the left of the trail, and then continue uphill to the ridge. 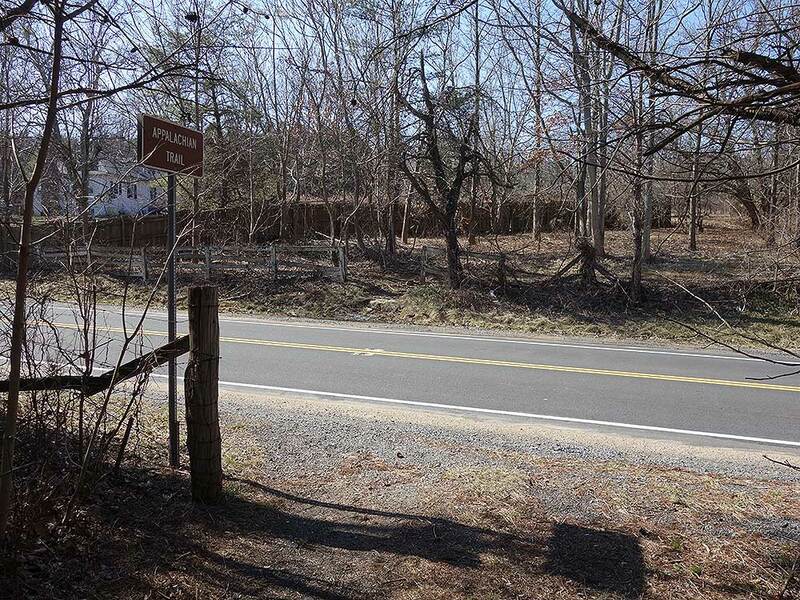 Mile 1.23 – Arrive at the ridge, with Loudoun County to the east and Jefferson County to the west. The ridgeline is the boarder of Virginia and West Virginia. 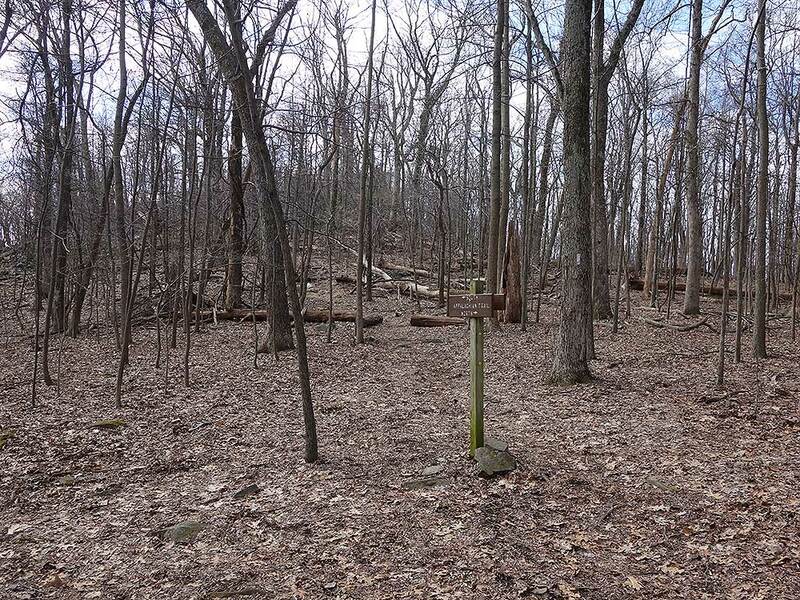 Continue along the ridge for another 0.44 miles where the AT crosses an old fire road. 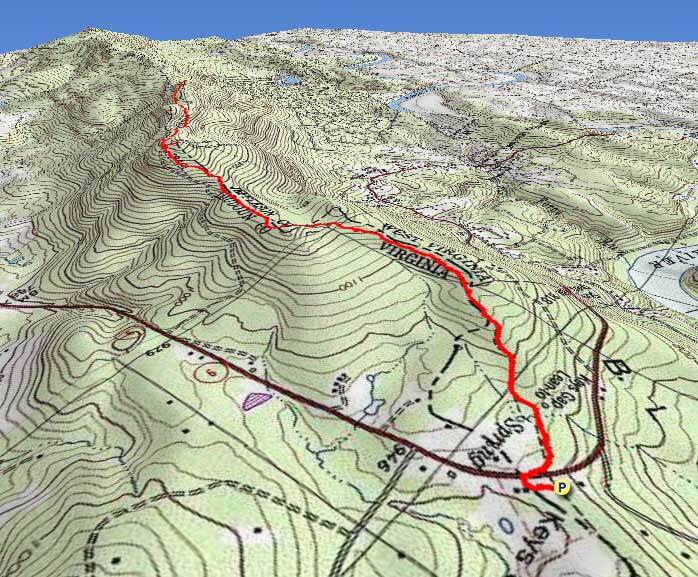 Mile 1.67 – Climb to the top of a rise on the ridge. 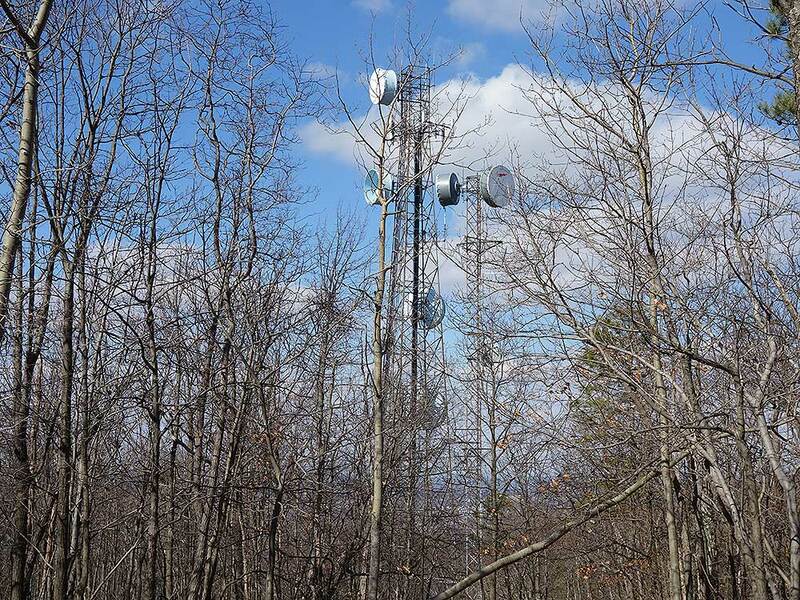 Mile 2.02 – Pass a transmission tower on the right, with nice views of Loudoun valley when the leaves are off the trees. Pass around the west side of the ridge and descend slightly to the intersection of the blue blazed David Lesser Shelter Trail. Mile 3.1 – Descend to the David Lesser Shelter. 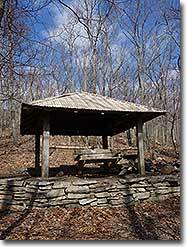 There is a separate sheltered chair swing next to the main shelter, as well as a large group campground 50 yards below the shelter. 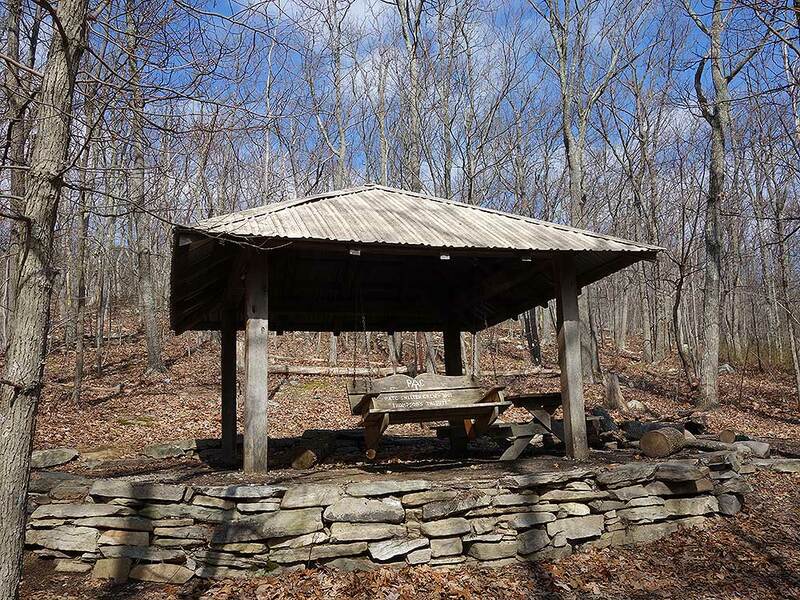 A seasonal spring is also located below and to the right of the shelter. Return to the AT and continue south. 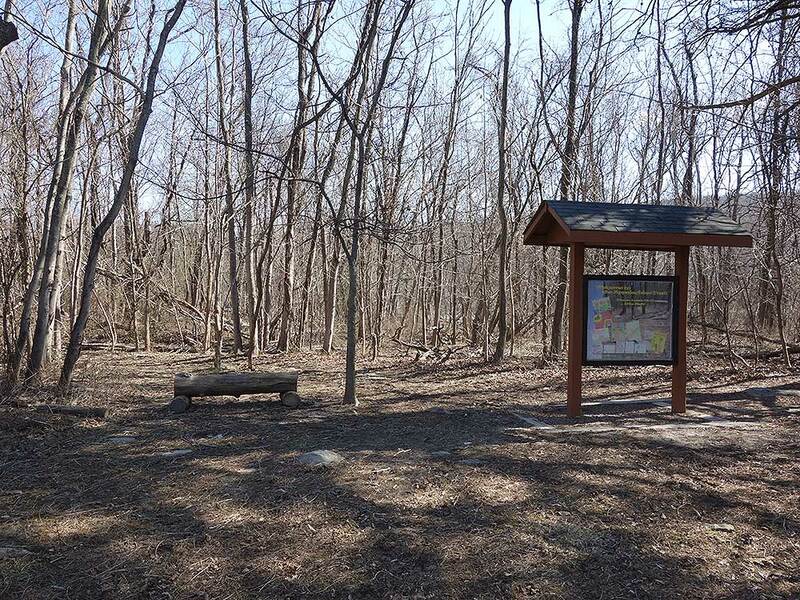 Mile 3.4 – The AT will climb a large section of stone steps then continue for 0.5 miles to the intersection of the blue blazed Buzzard Rocks Trail. 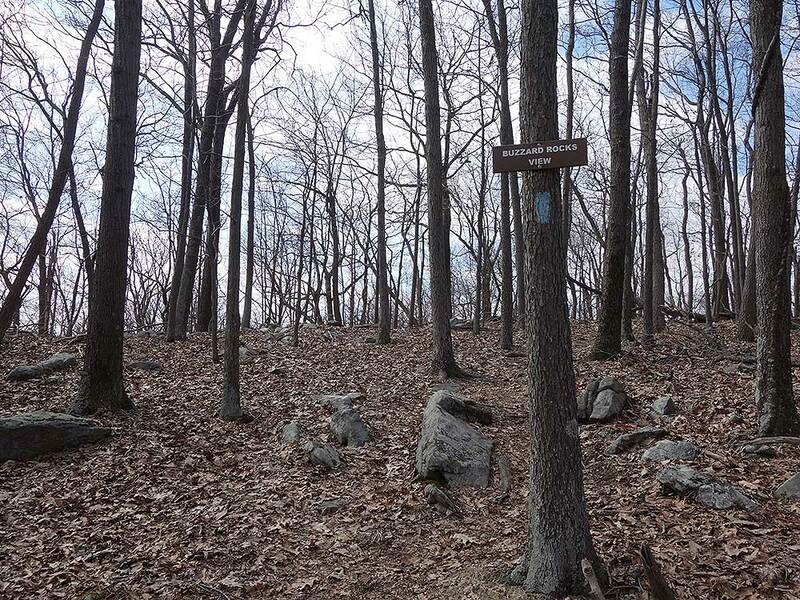 Mile 3.9 – Turn right and follow the blue blazed trail down to the Buzzard Rocks overlook. 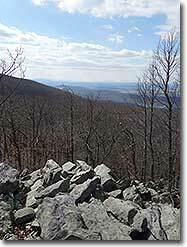 Mile 4.05 – From Buzzard Rocks there are views south of the Shenandoah National Park and Massanutten Range. 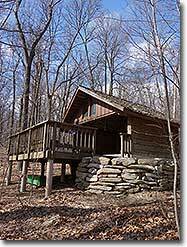 Retrace your route on the AT north to Keys Gap. 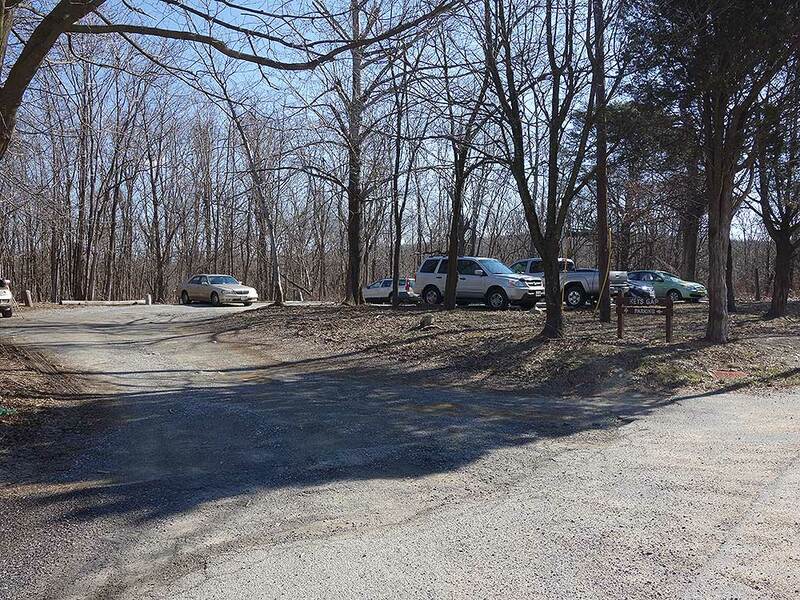 Mile 7.7 – Arrive back at the Keys Gap parking area. Nice little green tunnel hike after being off a month for an injured knee. 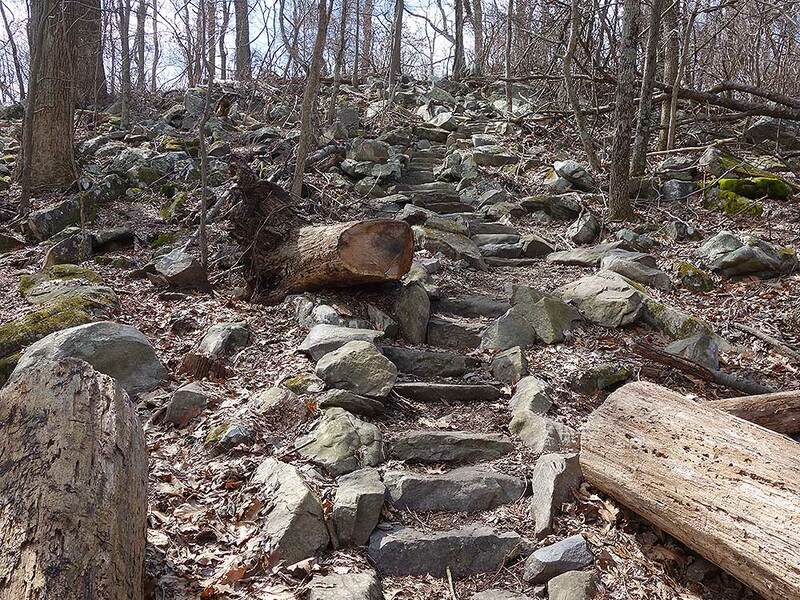 Easy section of the AT. Views are just OK. This would be a much better hike when the leaves are down. Be extremely careful crossing route 9 at Keys Gap. There are no sightlines for either you or the motorists. 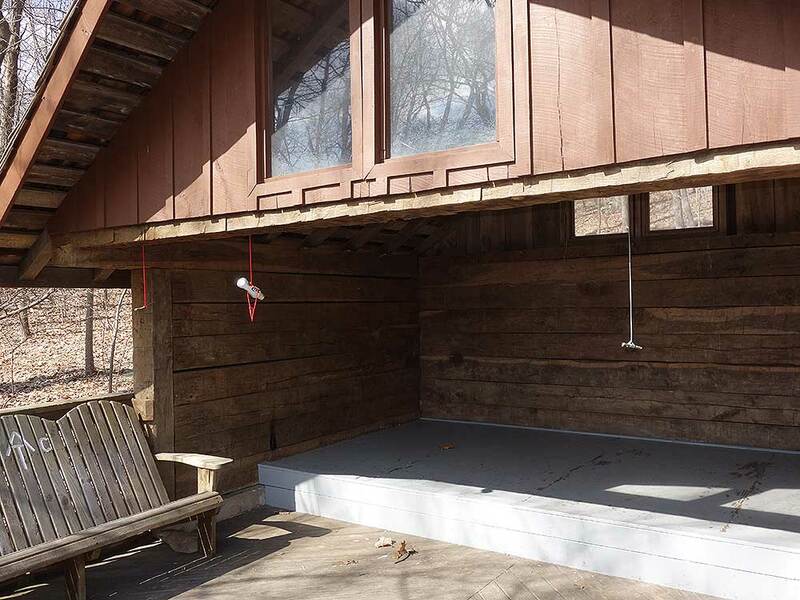 Be sure to pop-in and visit the David Lesser shelter, a Hilton among AT shelters with its deck, deck seating, Adirondack chairs, and porch swing under a separate cooking shelter. 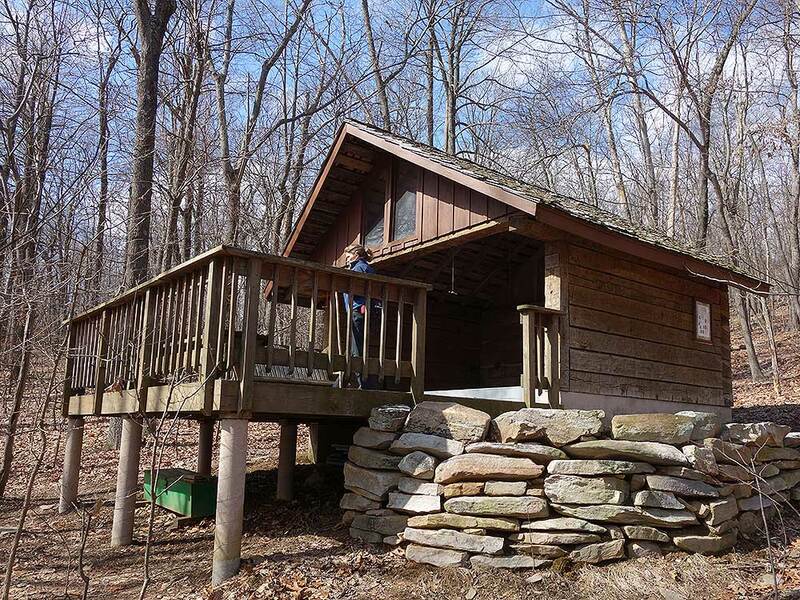 The only downside to this shelter is that water is a long way down the hill. One thing to note is that the blue-blazed trail to the overlook forks. Avoid the temptation to take the right fork which looks much more heavily traveled. It dumps you in a scree field with no view at all. Take the left, much less traveled, fork to get out to where you want to be. I enjoyed this hike. Great views as the leaves were off the trees. 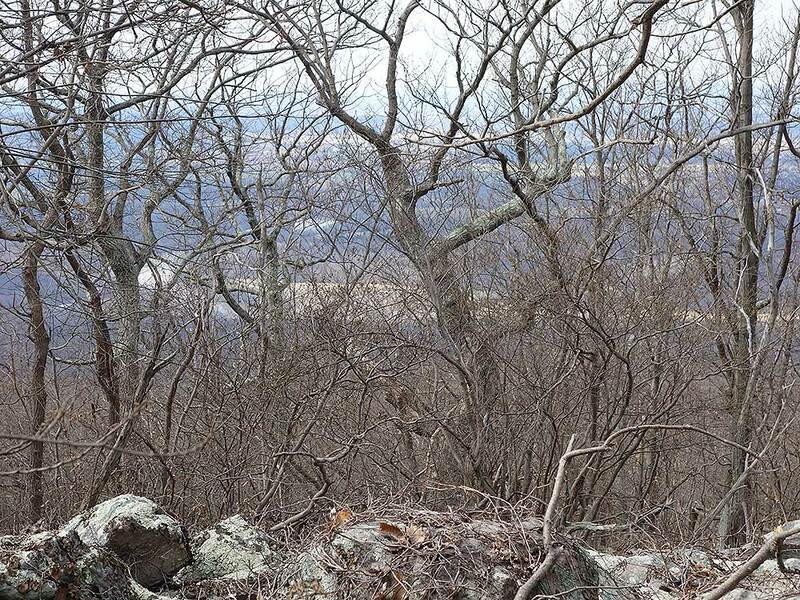 You would not see a lot in the distance in the summer, but it is still a nice hike. The description said it was muddy at the start -- I did not find much mud there but found more starting at the 1 mile mark. It was only in short stretches and not very deep, about one-half inch. I did fine wth my trail runners. Several downed big trees to climb over. Safety: RUN when you cross the highway. The road is hilly and curved, and traffic is fast. You do not see or hear vehicles -- and they do not see you -- until they are VERY close. Also, a sign on the bulletin board warns to leave NOTHING visible in vehicles, even chargers. It also says if you must leave a bag in the vehicle, open it up so would-be thieves can see it is just clothing or nothing valuable. Theft is clearly a problem here. While I was in the parking area before and after the hike I saw a total of three people just parked sitting in cars, smoking and looking around. I don't see that at other hike parking areas in this region. They could just be taking a break, but be careful anyway. This is a moderately easy hike. 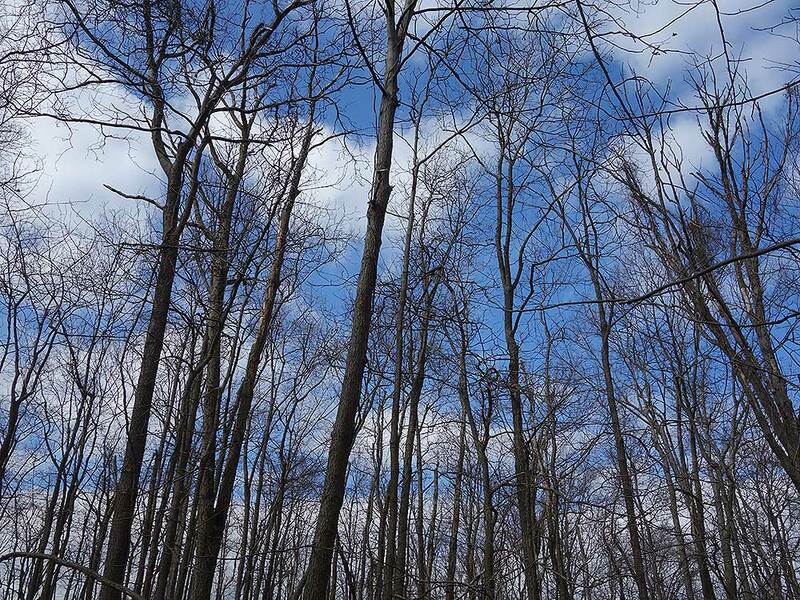 I enjoyed the slow elevation gain and the silence of the forest. 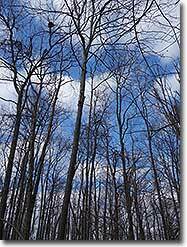 As others have mentioned, there isn't a lot to see with leaves on the trees. Even when I got to the overlook I was a bit underwhelmed. However, I was able to sit on a rock by myself for quite some time so that made it all worth it. I will definitely be returning in the fall and/or winter. First time hiking this route. It was a lot of fun. A perfect 1/2 hike. Some challenging spots but very doable in 3 hours round trip. The only disappointment was the lack of views at the Transmission Tower and Buzzards Rock due to foliage. I think I will try this hike again after the leaves fall and expect it to be even better. We set out on this hike knowing that rain/snow was coming, but we thought we could beat it - wrong. We got as far as the set of stone stairs when the light drizzle turned into increasingly heavy snow. We decided to turn back, which was a good decision, since one of us was not dressed well for the cold soaking. In spite of the discomfort, this was a great experience. Hiking in the snow (only a couple of inches) was fun. We'll come back again when the weather is more promising. One caution: there were a couple of sketchy characters hanging around the parking lot, and one of them approached our car before we pulled out. If this happens to you, remember that there is a small store where Sheriff's deputies seem to park just a quarter of a mile back toward Leesburg.